Learn more about Mystery, Malt & Merlot and make your reservations. The Advocates has served Upstate Medical University and its campuses for more than 100 years, working to improve the quality of patient and family care, medical education, and community health. 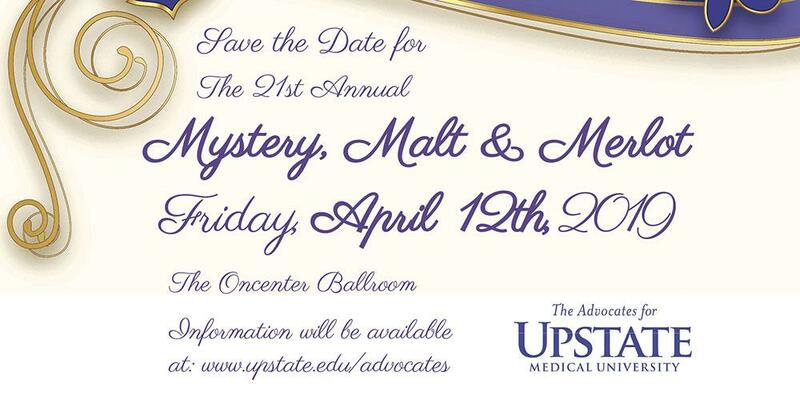 The Advocates for Upstate Medical University serves both the Upstate Community and Downtown campuses, and is a 501 (c)(3) fundraising and service organization. Last Modified: March 14, 2019. Contact Jonathan Adler with questions about the content of this page.